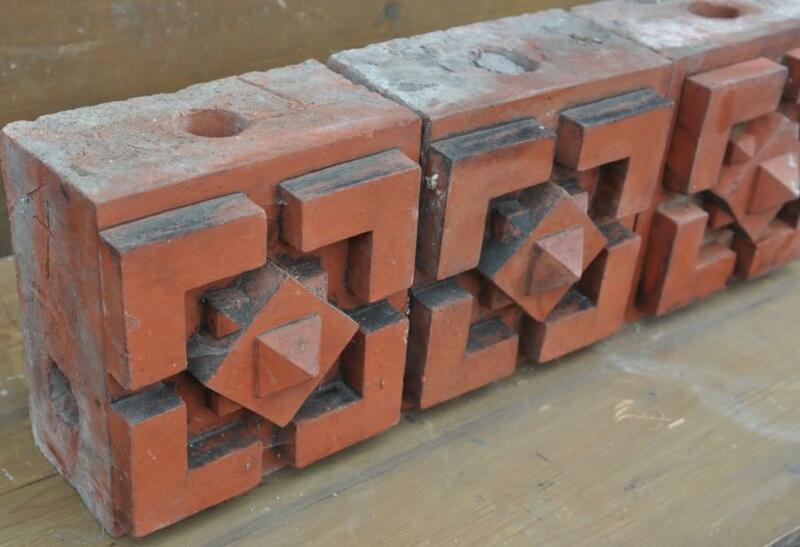 A set of 22 19th century antique decorative terracotta bricks /inserts. Large Geometric. 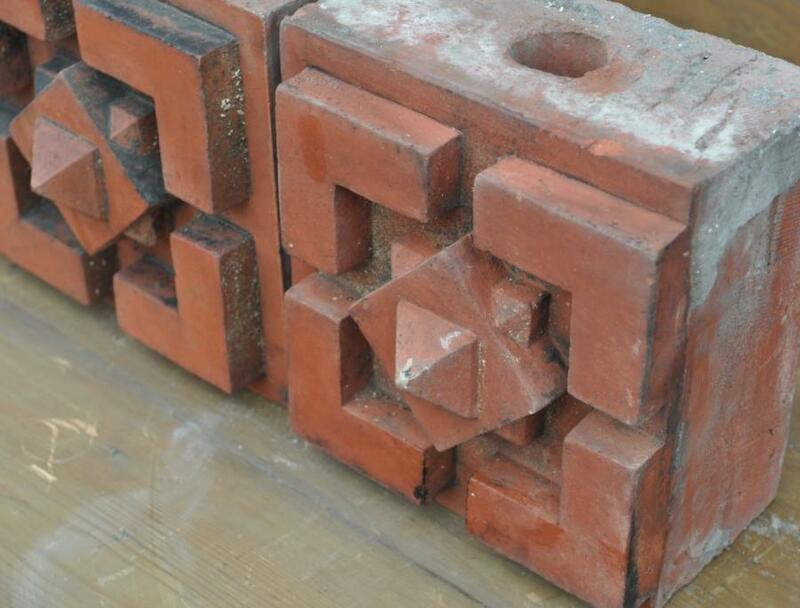 Reclaimed from a school in Liverpool, they formed a decorative row in the gable end of a building. 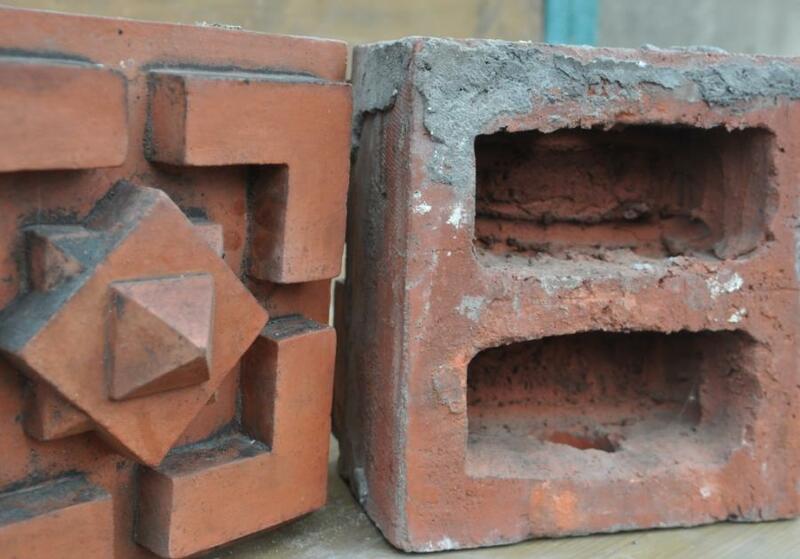 Dimensions in inches/cms or inches alone; 10/25.5 x 9.5/24 x7/18 deep ( 5/12.5 built in) Quantity; 22of Part of a collection of decorative terracotta i am now advertising. All reclaimed from English Victorian buildings over many years. For an overview and price list of all the collection please email me and i will send the word document. Also please see other adverts.